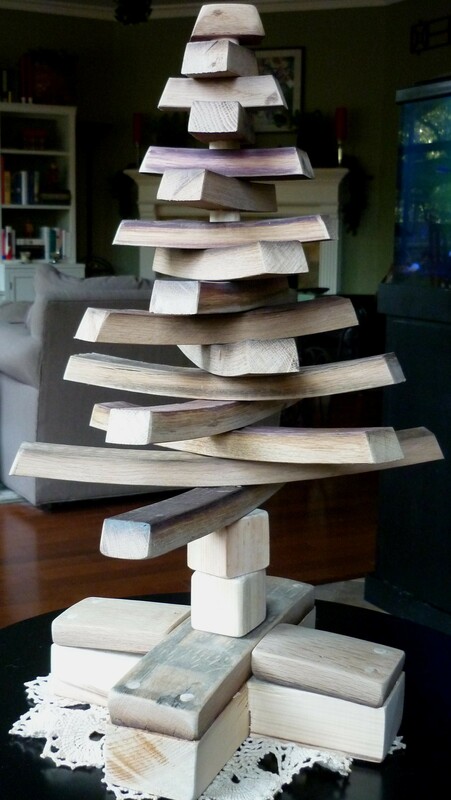 We got a new Christmas tree this year, but it didn’t work out as planned. It’s supposed to be 16 feet, but we had to leave off the bottom two levels because it was too wide. So this is 12 feet. 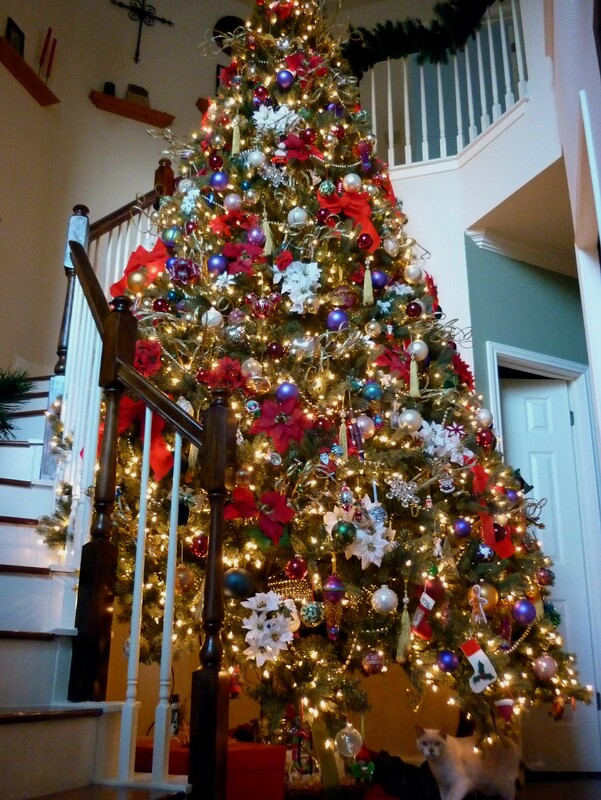 I’d probably still be decorating if we had those extra four feet. 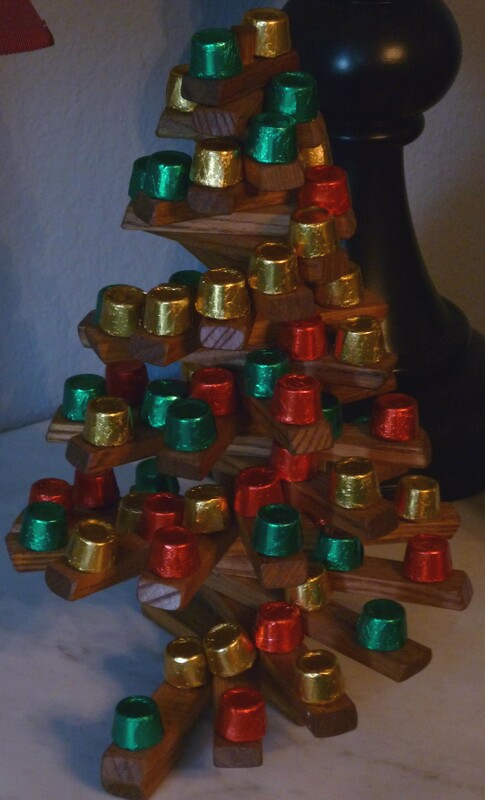 This is a Christmas tree made out of wine-barrel staves. This is a little tree I got my mother many years ago at the Christmas store on the square in Georgetown, Texas. 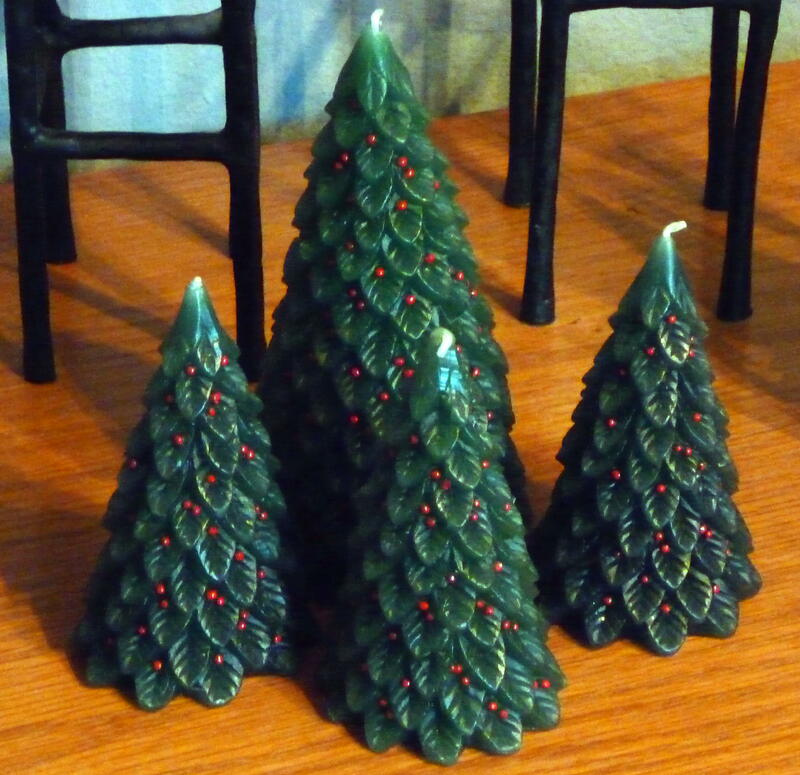 These are candles I just can’t bring myself to light. 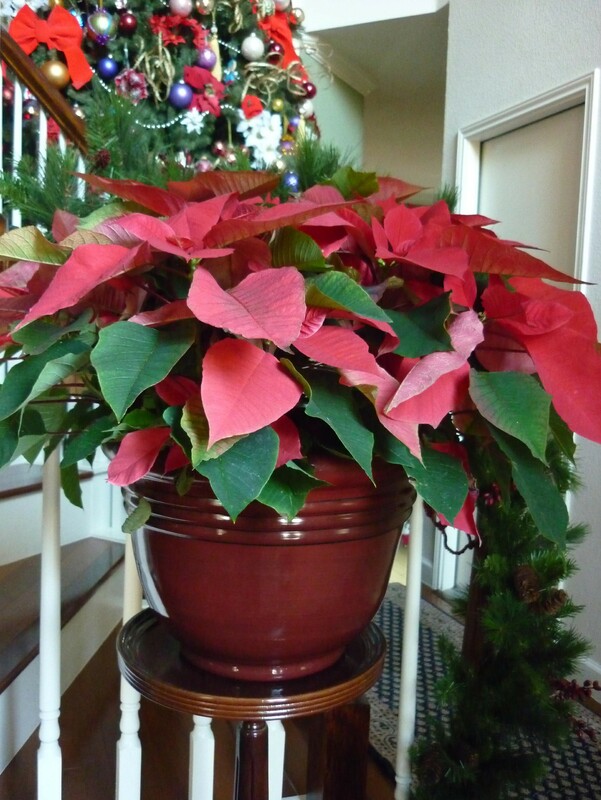 Here’s this year’s poinsettia. 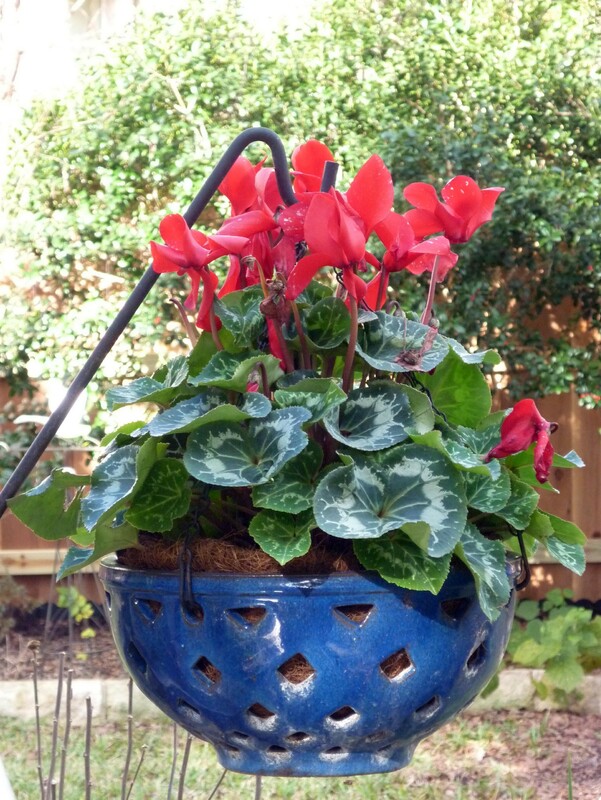 I got it at Barton Springs Nursery. I’m very happy with it. 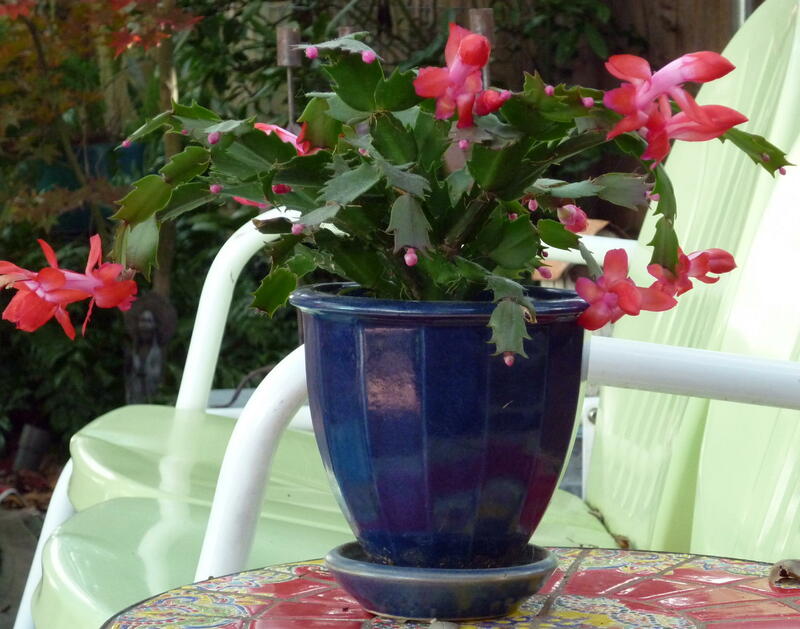 This is a Christmas cactus I brought back from my mother’s house. I didn’t follow any of the detailed instructions to get it to bloom, but nature took its course anyway. Not much going on in the back yard. All the perennials are still hanging on despite a couple nights in the upper 20s. 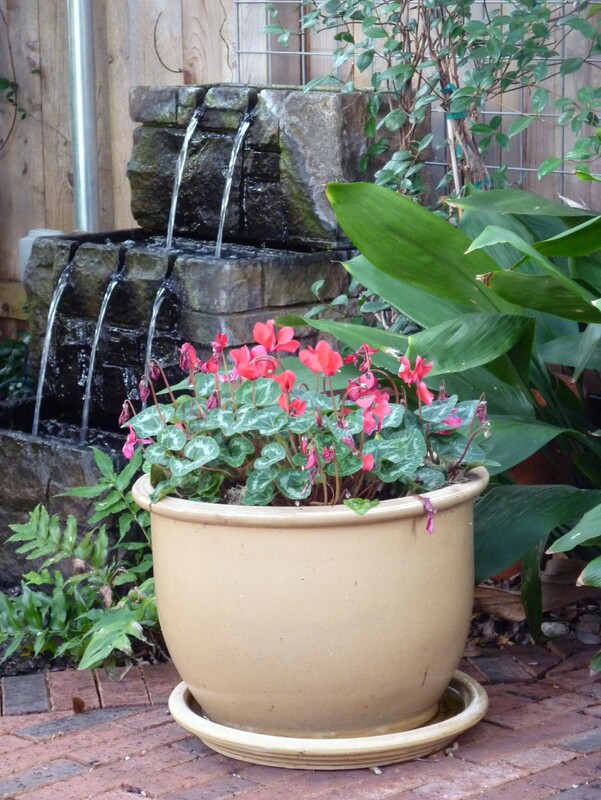 I put out several cyclamens. I’ve always had good luck with them. We made latkes the other evening. These turned out very well. We also had a corn casserole with cream cheese and bacon. Decidedly unkosher. 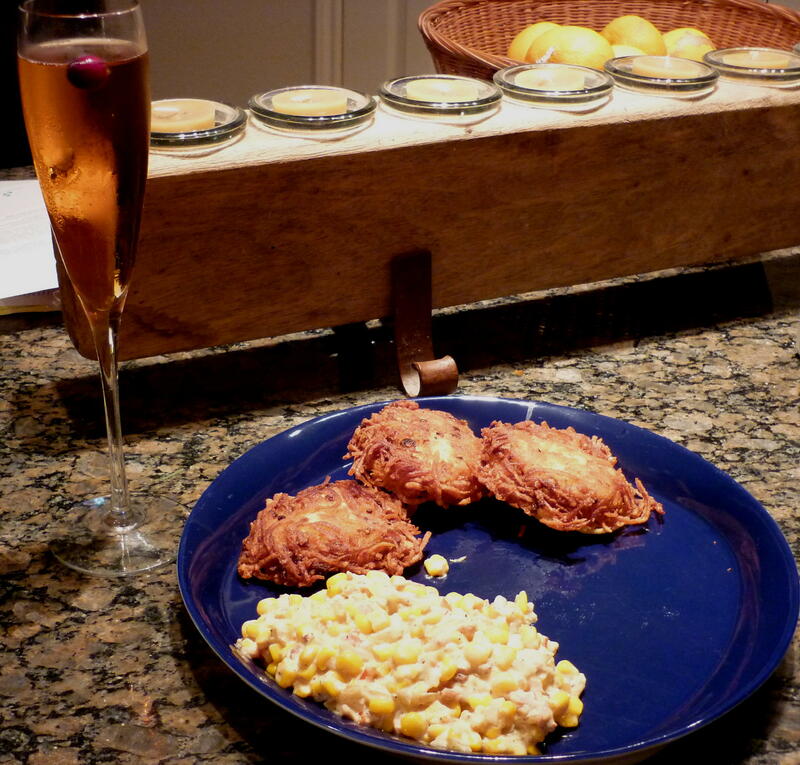 We paired the latkes with a French cider – it was perfect. For the playlist, I highly recommend the Klezmer Conservatory Band.